Design studios Hats & Tales + Nearest Neighbour combine forces in this project by addressing the urgency of climate change in a fairly unusual way. 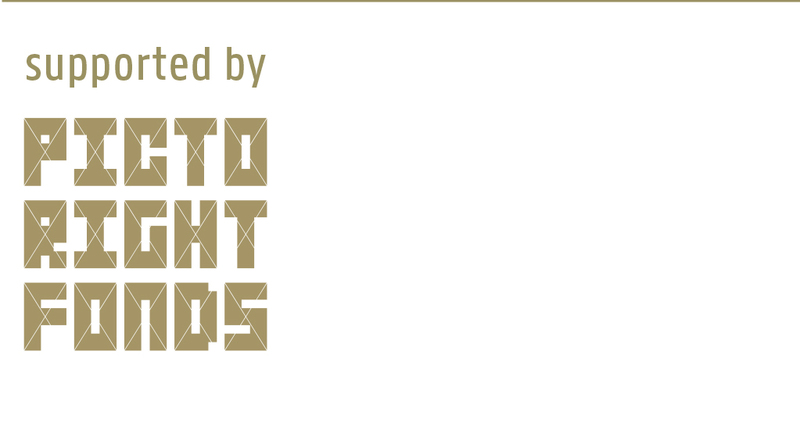 By using the symbolics of the metal music scene, they create an overlay between the dark content and threatening burden of this alarming message that screams to be spread: the self-destruction and decay of human kind as we know it has started and there is not much we can do about it! 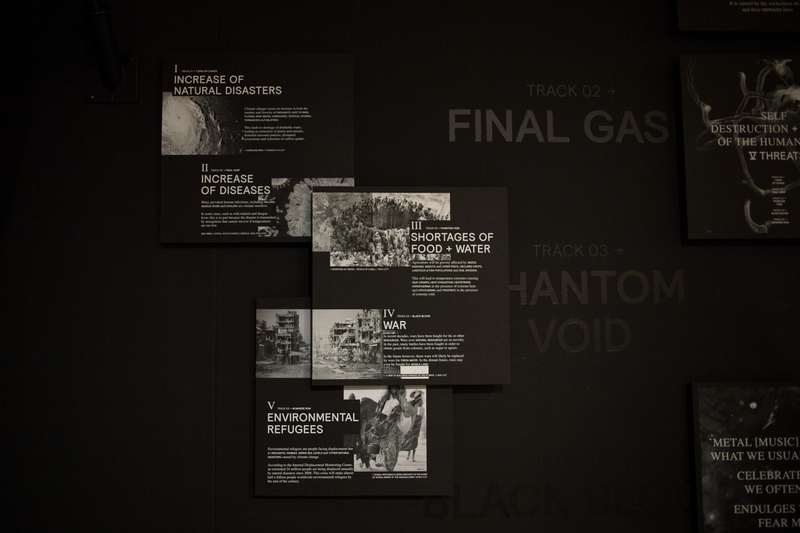 By presenting 5 tracks/threats they confront the visitor with our current decay. These are no myths of the near future, this is today’s reality. 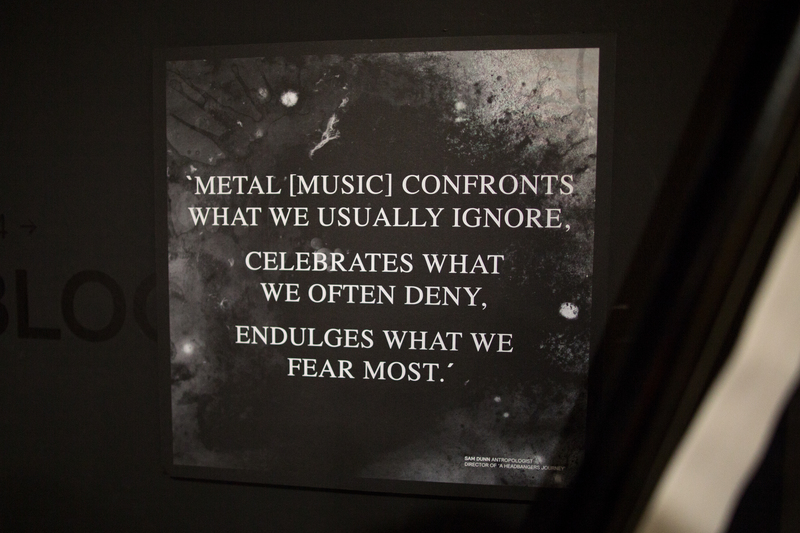 In the metal music scene the listener is often confronted with subjects that are being ignored or feared. 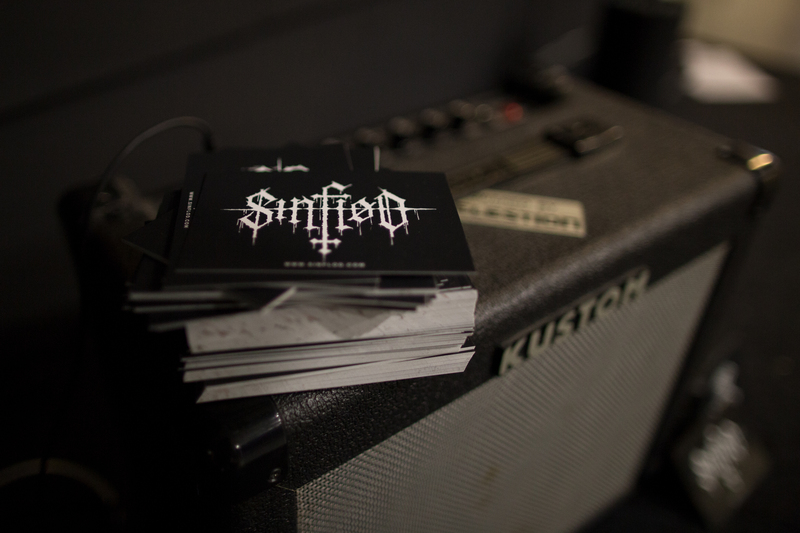 The forced and controlled aggression found in this music reinforces these subjects. 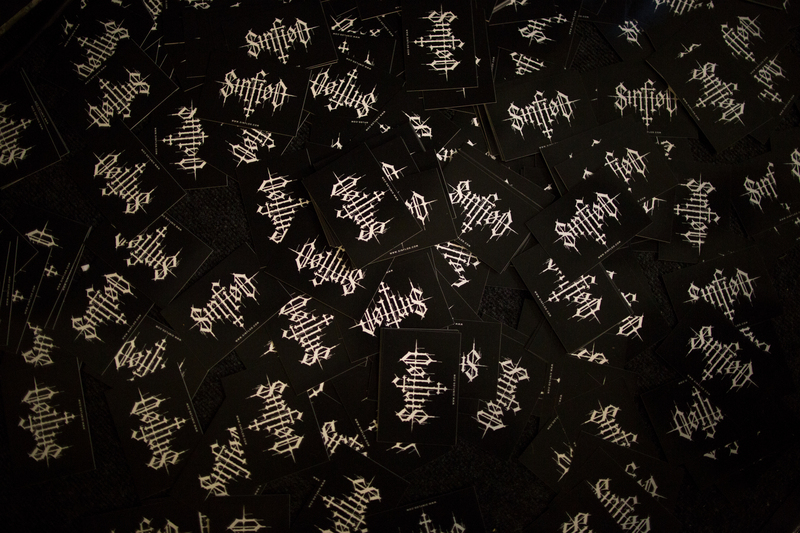 Choosing the visual language of the metal scene adds to the alarming message, the origin and semiotics of the metal scene strengthens this critical visual subject. 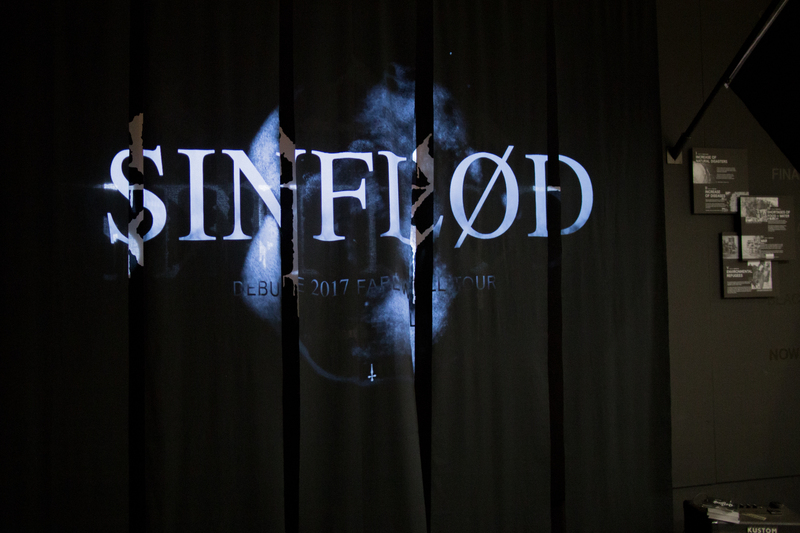 The name Sinflød has derived from the biblical story of the Future Flood. This is one of the examples of the ‘final time’ tales that has been passed along in many different cultures and gave some direction to the past, the present and the future. Our generation needs a new myth like that, it will help us make choices. 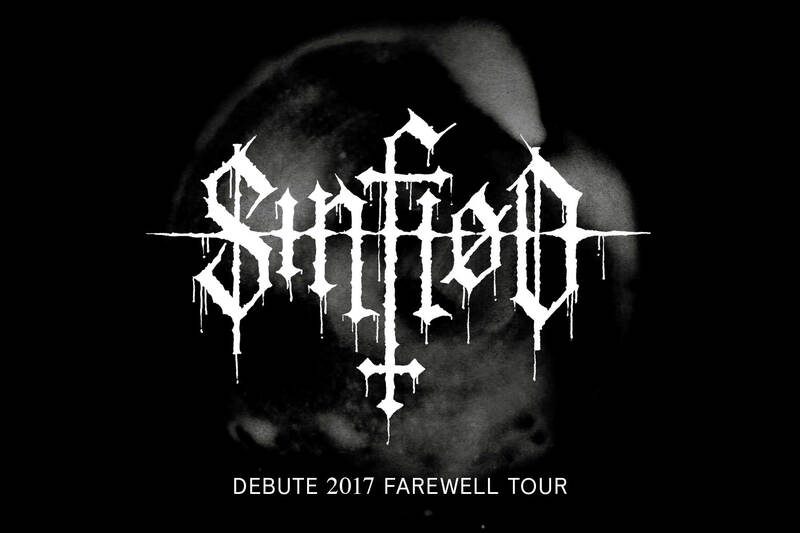 Sinflød delivers, by presenting an obscure installation where their debut album and farewell tour meet..